Artist/Author : Bowman, D. M. J. S.
Why do Australian rainforests occur as islands within the vast tracts of Eucalyptus? Why is fire a critical ecological factor in every Australian landscape? What were the consequences of the ice-age colonists use of fire? In this original and challenging book, David Bowman critically examines hypotheses that have been advanced to answer these questions. He demonstrates that fire is the most critical factor in controlling the distribution of rainforest throughout Australia. Furthermore, while Aboriginal people used fire to skilfully manage and preserve habitats, he concludes that they did not significantly influence the evolution of Australia’s unique flora and fauna. 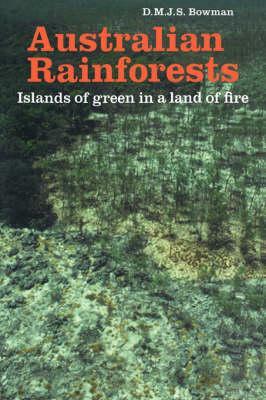 This book is a comprehensive overview of the diverse literature that attempts to solve the puzzle of the archipelago of rainforest habitats in Australia. It is essential reading for all ecologists, foresters, conservation biologists, and others interested in the biogeography and ecology of Australian rainforests. Cambridge University Press, 2008. 344 pages, paperback, black and white illustrations. 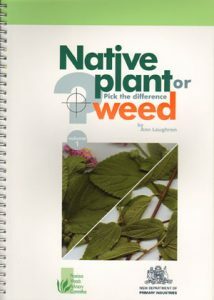 Full-colour side by side photographs of weed and native ‘look alikes’ with explanatory notes. An essential field guide for land carers, farmers and bush regenerators in coastal and high-rainfall areas. Janet Somerville’s botanical history of Tasmania 1642-1820. Janet Sommerville was born at Lilydale, Tasmania, in 1887. Her manuscript was commenced in 1958 but she died before it could be published. 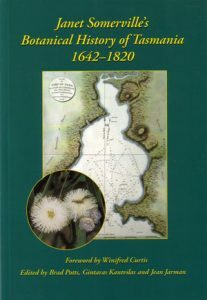 It provides a unique perspective on the discovery and early settlement of Tasmania as seen through the eyes of a botanist. 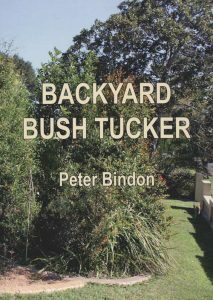 Backyard bush tucker: how to grow a waterwise bush tucker garden. 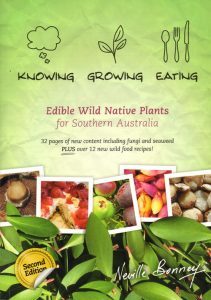 An excellent reference for those wanting to get started growing bush foods. This practical guide includes regional climatic maps with garden plans and suggested plants for each region. Ninety seven plants are described including information on behaviour and uses. Edible wild native plants have been gaining much interest in recent years amongst local growers and chefs. This new book focuses on the culinary flora of southern Australia. It is practical and easy to use with coloured photographs throughout. This edition has 32 pages of new content including fungi and seaweed.